I’d like to start this post with a LOT of travel information, as I think it will be helpful to my colleagues (and hopefully others too!) who are planning to visit the Taj Mahal from Mumbai. 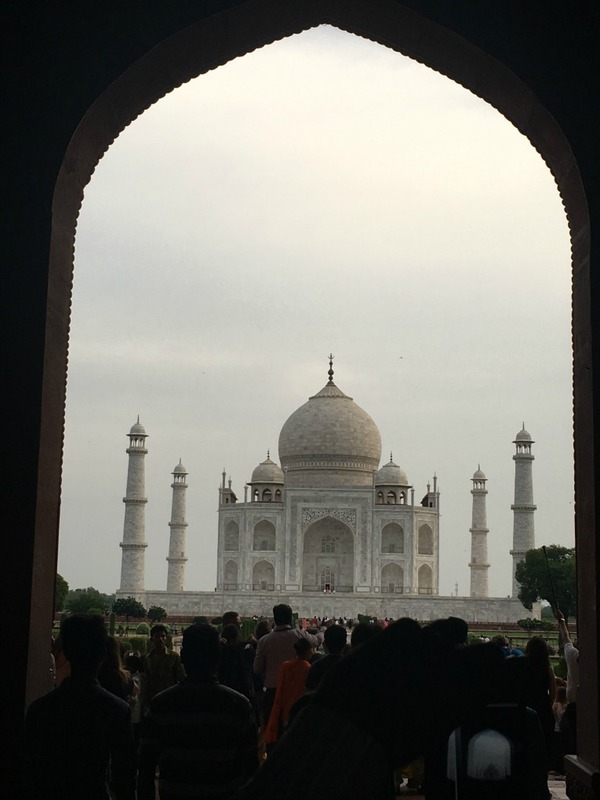 The second part of this post will include my normal ‘recap’/journaling of my actual experience, so if you’re not planning a trip to the Taj from Mumbai, skip right ahead! First off, getting to the Taj Mahal is a hassle for sure. Another coworker went there with his wife and told everyone it was a waste of time just to go look at a dumb building. So definitely think about whether its something you want to commit to. However, in my opinion, it was worth it. It’s one of the 7 wonders of the world, it’s considered the most beautiful building in the world, and its something I would probably never otherwise go visit. So to me, it was worth it. Dustin felt the same way, I don’t know if I will ever come back to India so this was my opportunity to go, despite the hassle and the cost. I don’t regret it at all. Another group of colleagues flew out of Mumbai Saturday morning to Delhi, arranged a driver to pick them up from the airport & drive straight to Agra. 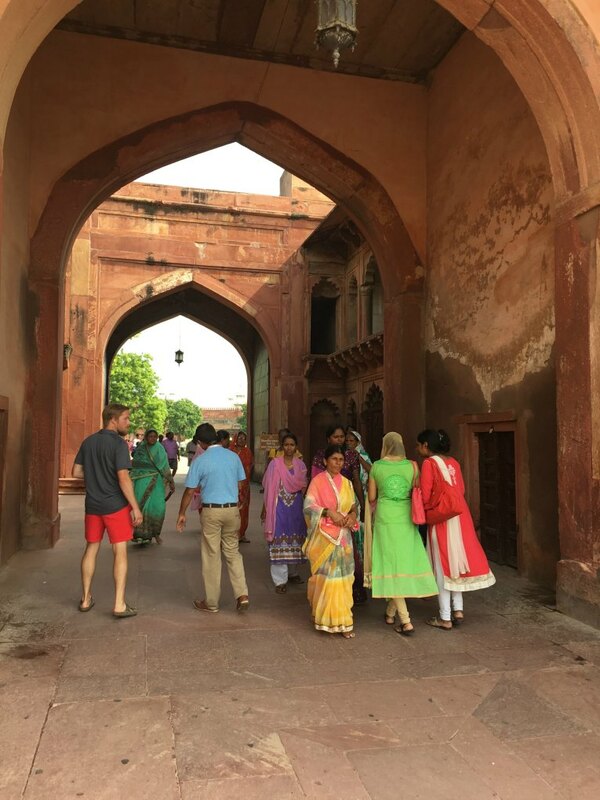 They toured the Agra Fort/Red Fort Saturday afternoon (takes about 1.5 hours), went to their hotel, and then did a sunrise tour of the Taj Mahal ( 2 hours), relaxed at their hotel a bit, and then headed back to Delhi for a flight back to Mumbai. Dustin and I flew to Delhi on Friday night, arranged a driver and a tour guide for Delhi- we spent about 3-4 hours seeing some sights in Delhi, before hitting the road to Agra. 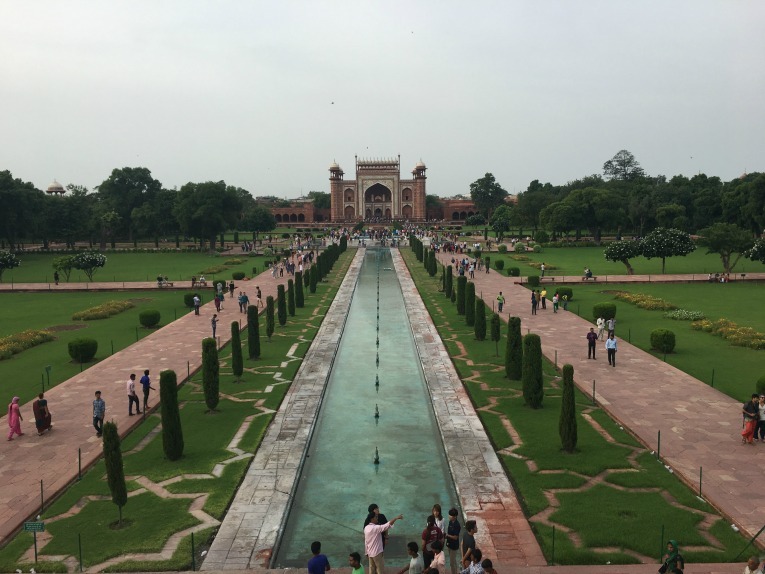 We arrived in Agra around 5 pm, and toured both the Taj Mahal and the Agra Fort/Red Fort Sunday morning, had time to relax at the pool for a bit before driving back to Delhi for a 7:30 pm flight back to Mumbai. I thought Delhi was interesting. 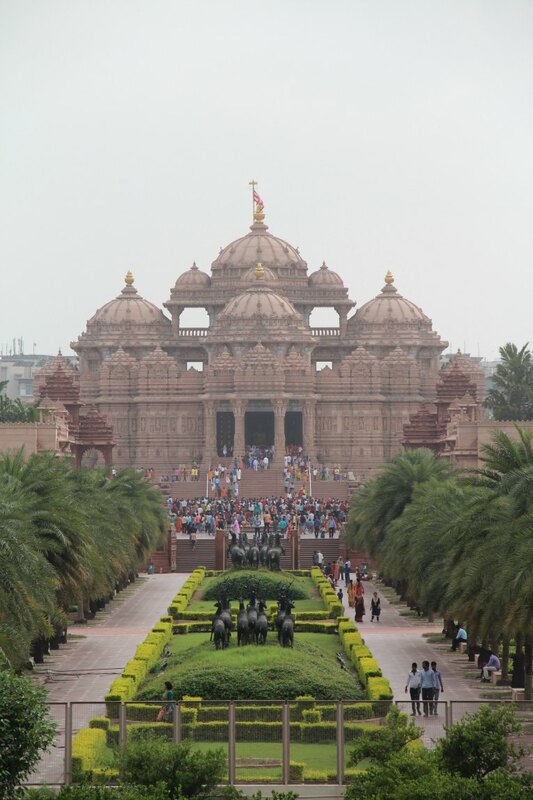 It’s the capitol city of India, so we saw a lot of the government building- president’s mansion, all the embassies (drive by), then a famous mosque called Jama Masjid, a quick tour of the spice market (one of the biggest in Asia), and a tour of Humayon’s Tomb (the inspiration for Taj Mahal). Our tour guide took us on a tuk-tuk through the spice market, which was quite fun. It was cool just to see a different part of India after seeing so much of Mumbai. Another option would be to fly to Jaipur and then drive to Agra (Delhi to Agra is slightly shorter, about 3 hours, Jaipur to Agra is 4 hours). 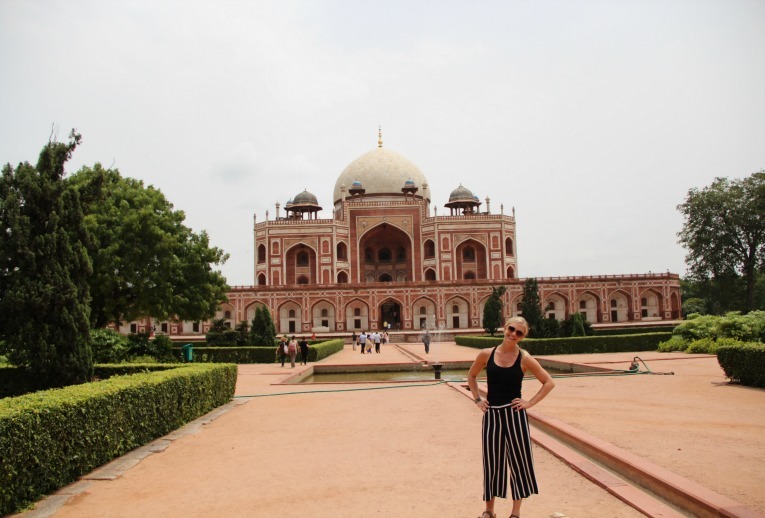 I thought Jaipur was really interesting, but keep in mind that some of my experience is inflated with positivity because we stayed in both Jaipur and Agra at a really nice hotel called the Oberoi. The option to go to Jaipur might be more rushed to still get to Agra to see the Taj while having time to experience Jaipur at all. Jaipur is worth a visit on its own for a whole weekend in my opinion. Read all about my experience in Jaipur here. 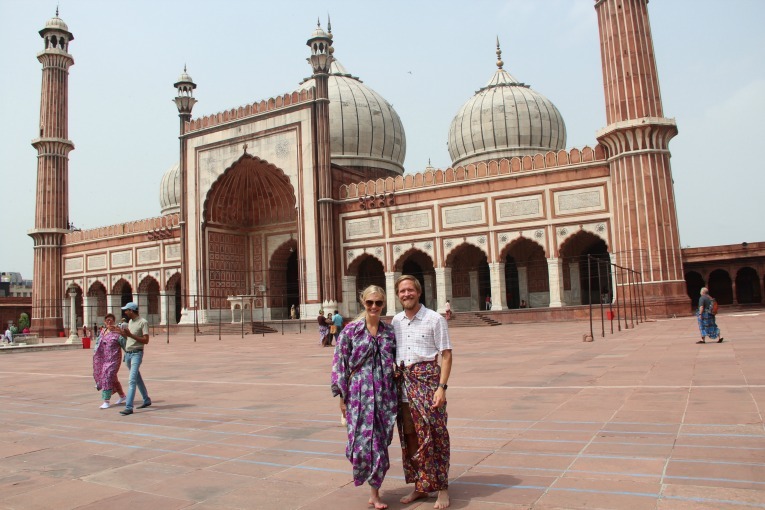 Dustin and I stayed at the Oberoi Amarvilas in Agra. 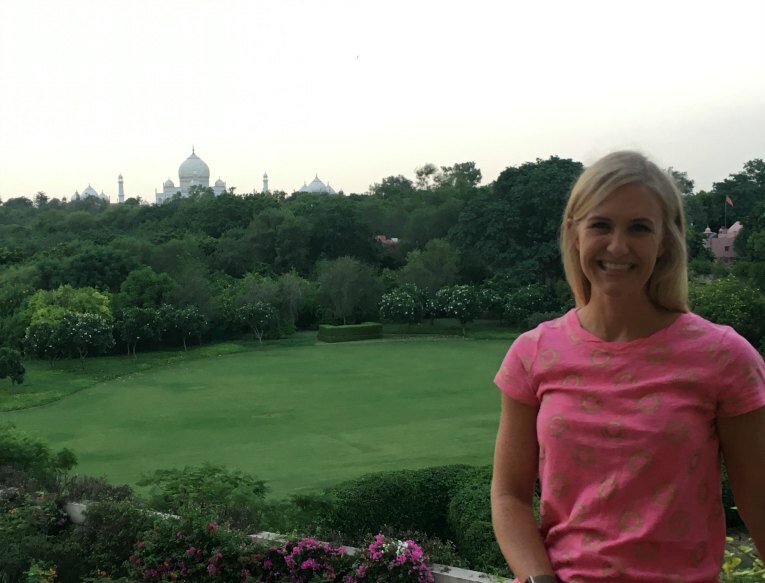 The nice thing about the Oberoi in Agra for the Taj Mahal is that every hotel room has a view of the Taj. Also, it is located right on the road to the Taj; only people staying there can even drive on the road. They take you to the entrance in a golf buggy! If you stay elsewhere, your driver will have to drop you off and you’ll walk down the road (you might get hassled a little to buy stuff). 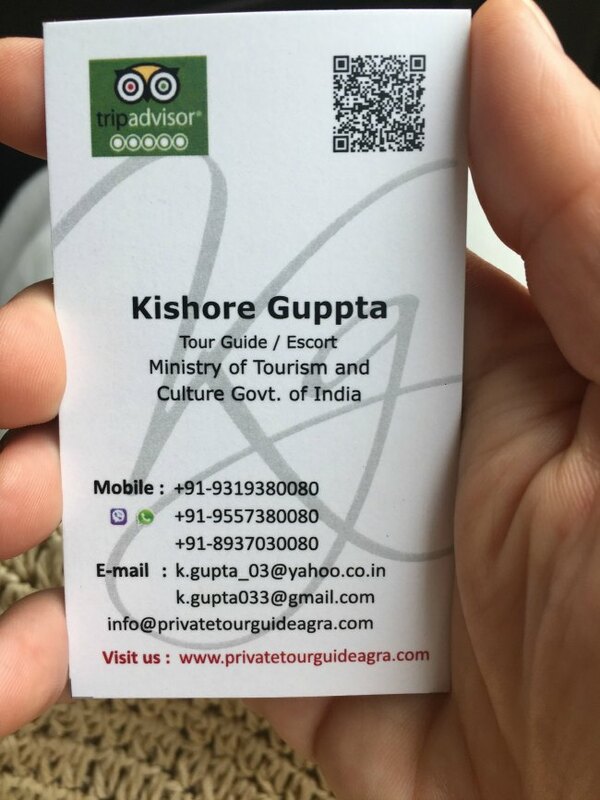 The Oberoi arranged for our guide in Agra, and he was GREAT- great English, really nice guy. And when we looked at our hotel bill, he only got the equivalent of $24 USD…super cheap for over 4 hours of time. I have to imagine the driver was cheap too and he drove us back and forth and must have slept in his car? I’m not sure…I wish I could give you his name but I don’t have it, as he was the sweetest guy, didn’t speak a lot of English, but enough to get by. 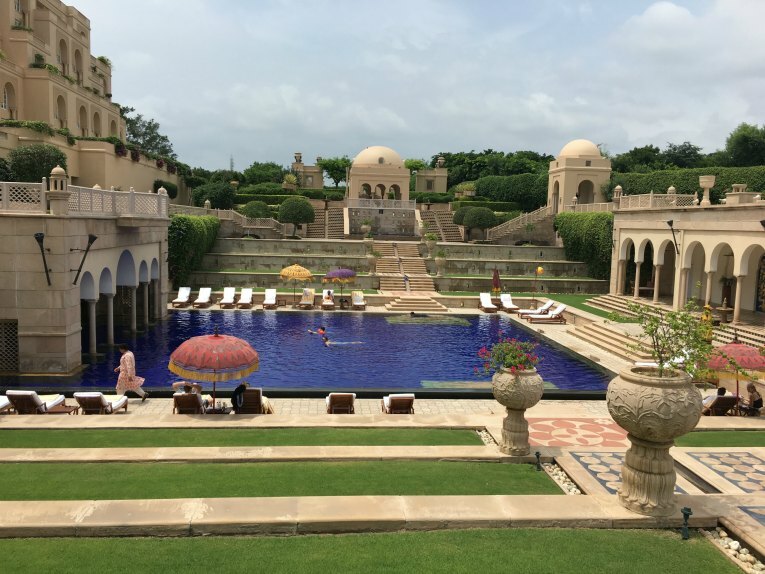 The problem with the Oberoi is that it’s expensive…it’s only one night, so up to you and your budget if you want to splurge (easier if you are sharing a room). It is a really nice hotel with amazing service. But don’t worry, there are other really nice hotels in Agra. If we hadn’t stayed at the Oberoi we were going to stay at the Radisson BLU , which is much more affordable, like $80 vs. $400. It also looks like there is a Trident in Agra, which is the same chain that most of my colleagues are staying in Mumbai. I would imagine that one could easily work with the Trident Bandra Kurla and they will help arrange your trip! When you’re out and about at tourist places, you will have to pay 5-10 rupees (coins- good to get some small bills if/when you can and even change) to use the bathroom even at place like the Taj Mahal and they won’t usually have toilet paper. You will want to bring travel packages of Kleenexes in your purse. There is no dress code for the Taj Mahal. Men can wear shorts, women can show their arms. 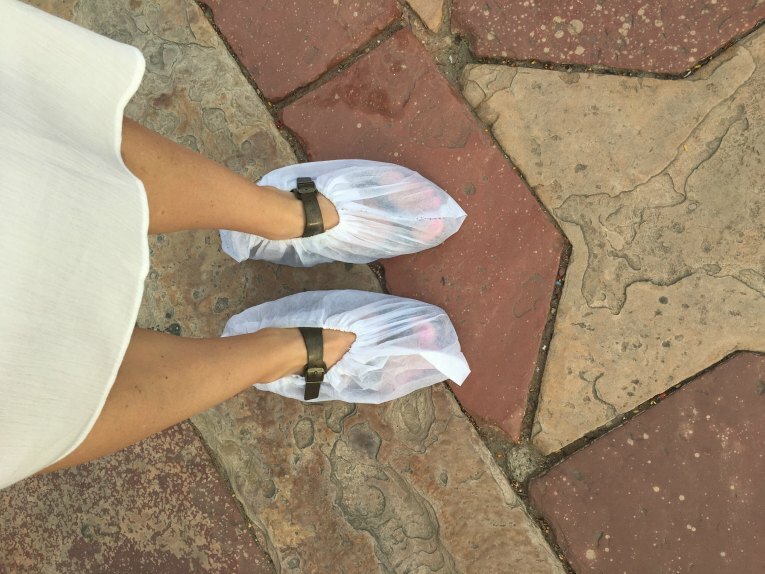 You will have to wear slippers over your shoes to protect the Taj Mahal when you go inside. And no pictures allowed inside the Taj Mahal. Alright, that is my spiel about how to visit the Taj Mahal in one weekend. 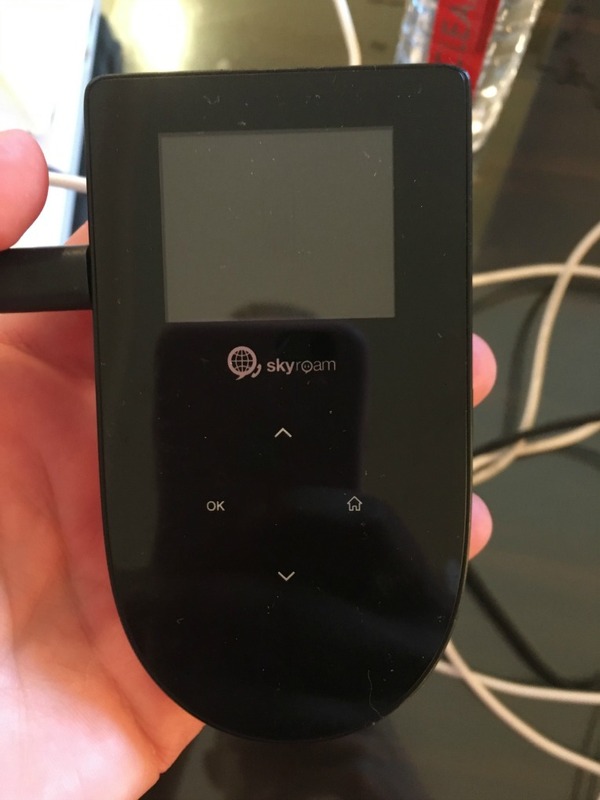 Here’s my recap of my actual experience! 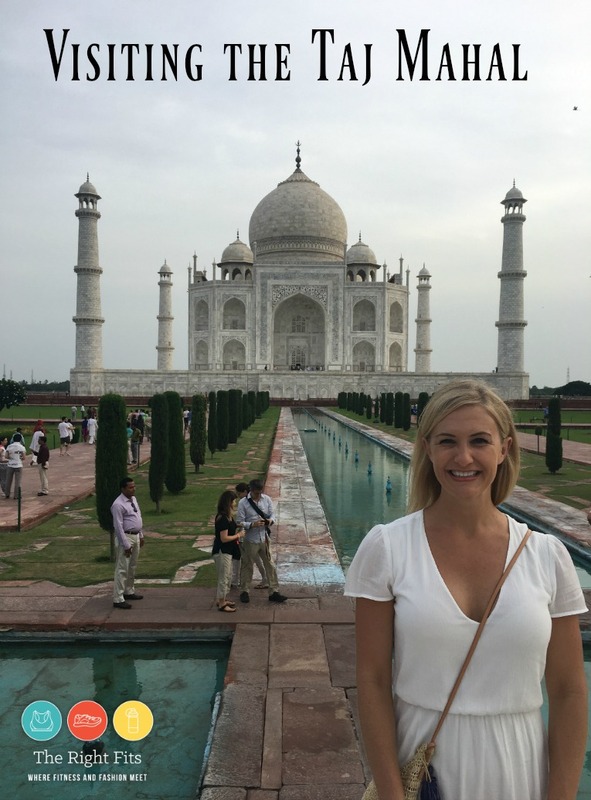 MY EXPERIENCE VISITING THE TAJ MAHAL! 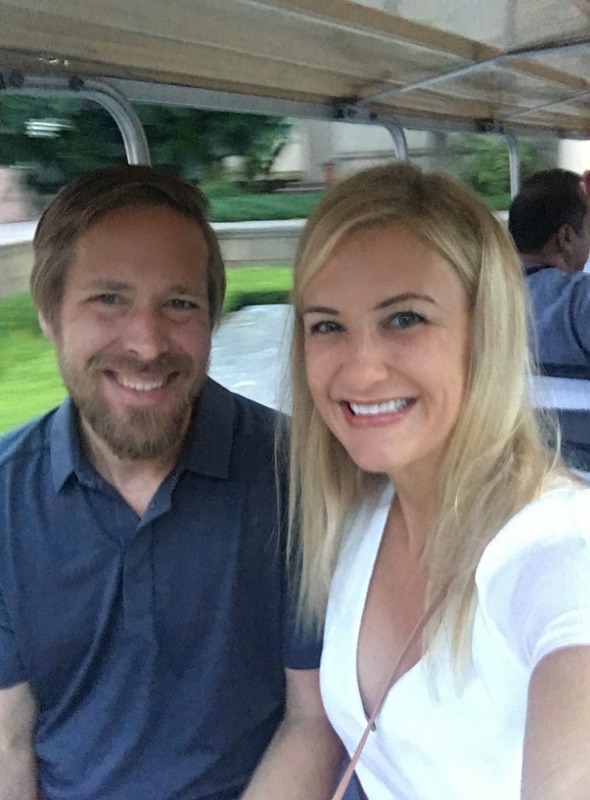 Last weekend, Dustin (my husband) was in Mumbai to visit me during my 5 week stint here for work. We decided to visit the Taj Mahal, since who knows if we will ever be back to India. The Taj Mahal is located in Agra, which doesn’t have an airport. 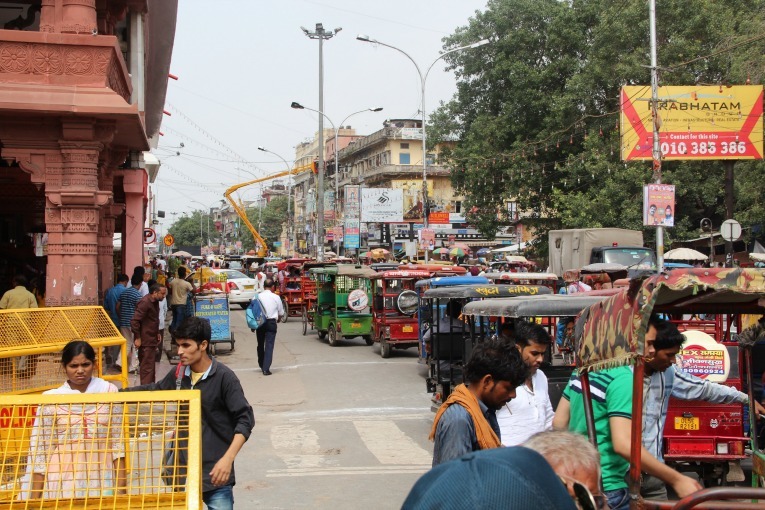 We had to fly into Delhi and then hire a driver to take us to Agra. It really was a lot of travelling just to see one building, but I can honestly say that it was worth it to me. The Taj Mahal is often considered the most beautiful building in the world, and I think it really is. We flew out of Mumbai late Friday night (our flight on Indigo was delayed). We didn’t arrive at our hotel until about 1 am. We stayed at the JW Marriott Aerocity, which is right by the airport. That hotel was very nice; breakfast was included in our stay. Our driver arrived at 9 am to take us to meet our tour guide in downtown Delhi. 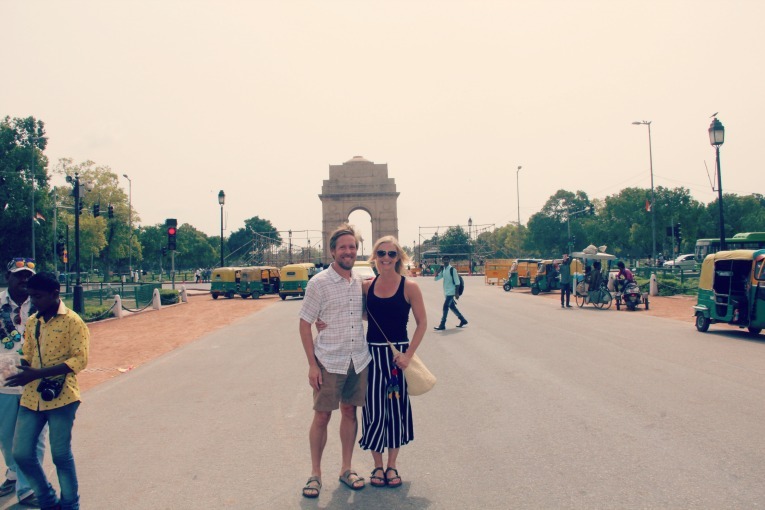 Delhi is the national capitol of India, so we quickly viewed several government buildings from the outside, as well as the famous India Gate. There we purchased several teas. 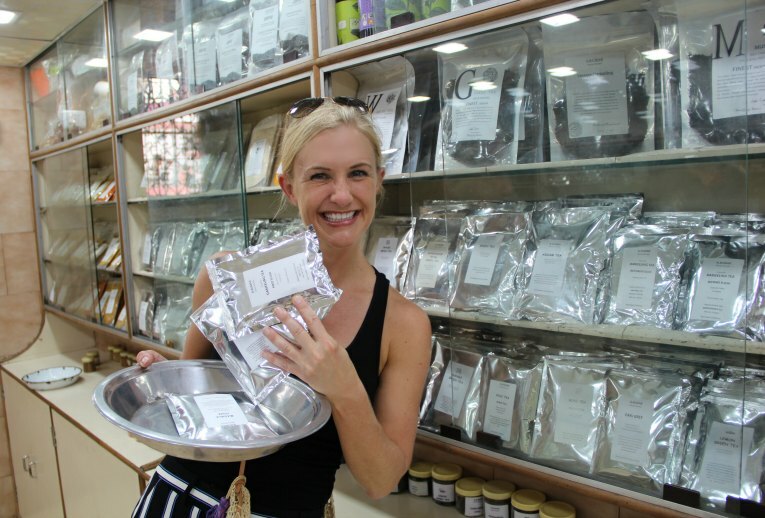 There were also all kinds of spices of course, but we stuck with the tea- can’t wait to try them when I get back to the US! 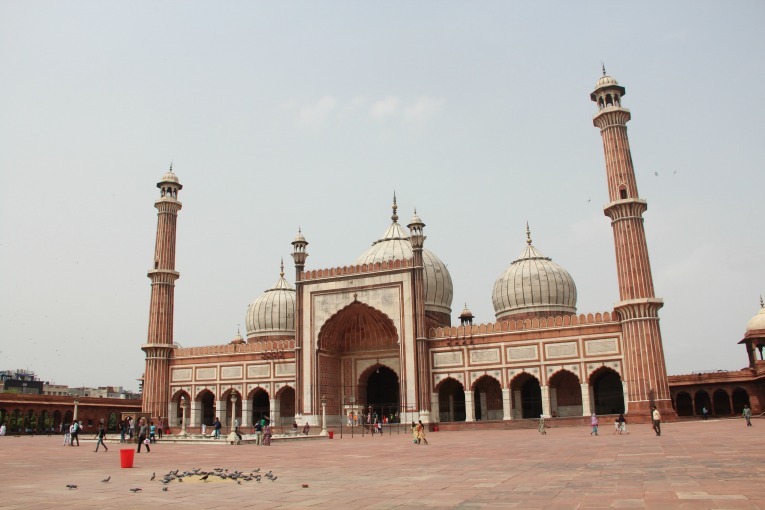 We visited Jama Masjid, a famous Muslim mosque. I was wearing loose pants and a tank top, so I had to wear one of the covers/shawls that they were handing out to tourists. They are required but free, (though they do smell like they have not been washed in a very long time.) Men have to cover their legs too. Like all mosques, you have to remove your shoes, and we did have to give the “shoe guy” 10 rupees to watch our shoes. He tried to sell us slippers because the pavement can be really really hot, but we decided to take our chances since it wasn’t so crazy hot that day, at least not early in the morning. “The Masjid-i Jahān-Numā (World-reflecting Mosque), commonly known as the Jama Masjid of Delhi, is one of the largest mosques in India. It was built by Mughal emperor Shah Jahan between 1644 and 1656 at a cost of 1 million rupees, and was inaugurated by an imam from Bukhara, present-day Uzbekistan. 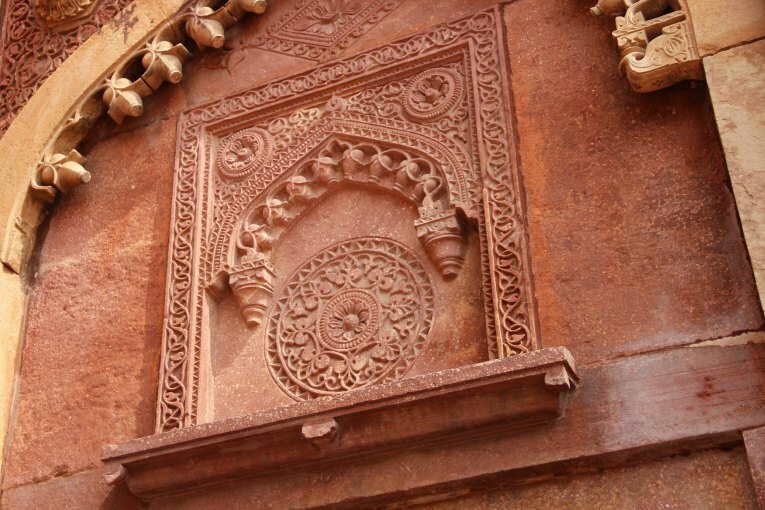 The mosque was completed in 1656 AD with three great gates, four towers and two 40 m high minarets constructed of strips of red sandstone and white marble. The courtyard can accommodate more than 25,000 persons. 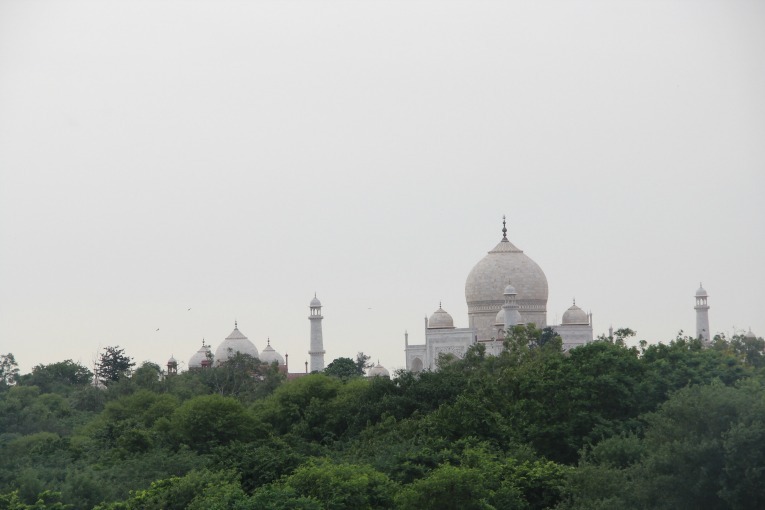 There are three domes on the terrace which are surrounded by the two minarets. On the floor, a total of 899 black borders are marked for worshippers. The architectural plan of Badshahi Masjid, built by Shah Jahan’s son Aurangzeb at Lahore, Pakistan, is similar to the Jama Masjid, Delhi. The mosque has been the site of two attacks, one in 2006 and another in 2010. During the first, two explosions occurred in the mosque, injuring thirteen people. In the second, two Taiwanese students were injured as two gunmen opened fire upon them. The final stop on the Delhi tour tour was an area referred to as “Little Kashmir”. Our guide took us to a store there where we got the whole ‘dog-and-pony’ show on Kashmir rugs and textiles…The rugs were beautiful, don’t get me wrong, but we weren’t looking to buy any and they were doing a really hard sell, which neither Dustin nor I really like. We had to say “no” a million times before we finally made our way out of the store and back to the car. That was the end of our tour of Delhi; then we hit the road to Agra. 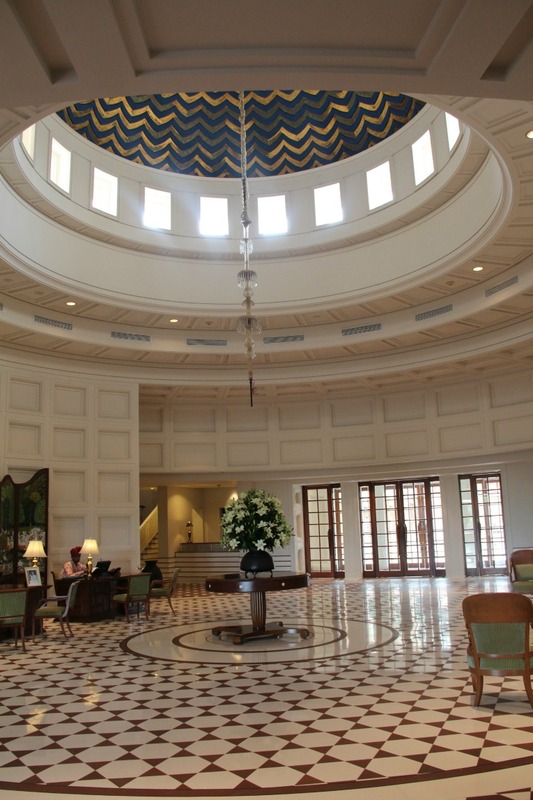 We arrived at the Oberoi Amarvilas in Agra around 5 pm. Just like in Jaipur, the Oberoi greeted us with a Hindu blessing and a fragrant water. The hotel was beautiful and the service was amazing. The best part about this Oberoi is that it is located right on the road to the Taj, which is not otherwise open to vehicle traffic unless you’re staying at the hotel. Every room has a view of the Taj! Amazing. We were upgraded to a better room with a balcony; August is still the off-season for tourism, so the hotel was probably even more attentive than normal since there weren’t a ton of guests staying there. We had dinner at the hotel- there are two restaurant choices, but one of them is much fancier, with two seatings – 7 and 10 pm, and long pants and closed toed shoes are required for men. Dustin didn’t bring either of those things, so our only option was the other restaurant, which was still quite nice! We were spoiled with the food there…so good. I don’t know if I’ll be able to eat Indian food back in the US after such amazing food here! I’m a big fan of anything with paneer and of course butter naan or roti is my carb of choice. Sunday morning we had to meet our tour guide at 5:45 am. The hotel had a light breakfast in the lobby for us (and other guests doing the sunrise tour). A lot of people go to the Taj right at sunrise, as its beautiful then, and also much cooler. Our guide was great at explaining the history of the Taj as well as being our photographer. I highly recommend him. 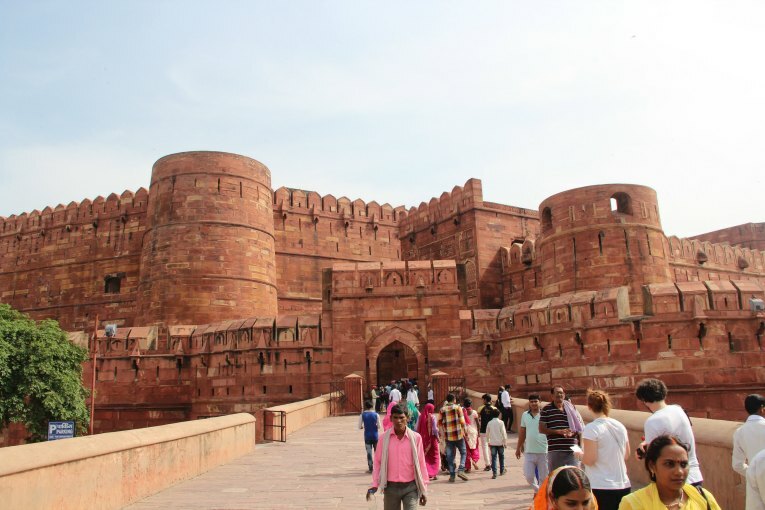 We came back to the hotel around 8 am for a full breakfast (included with our stay) and then went with our guide again to the Agra Fort. 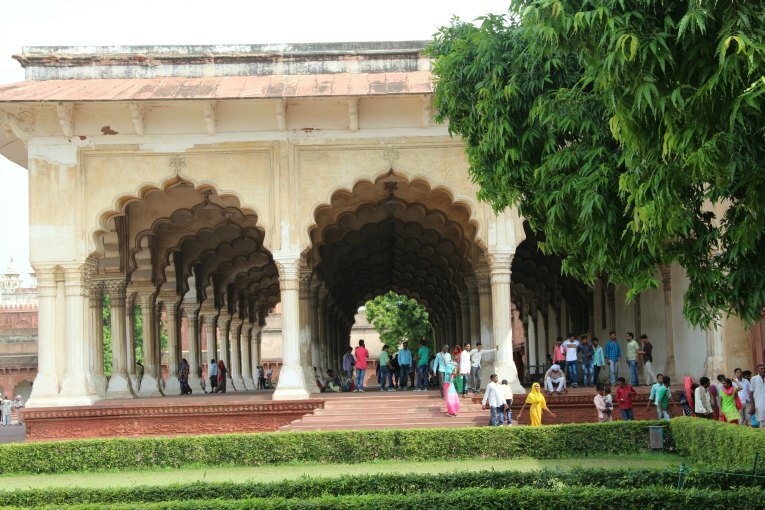 The Agra Fort was really interesting and worth the visit. 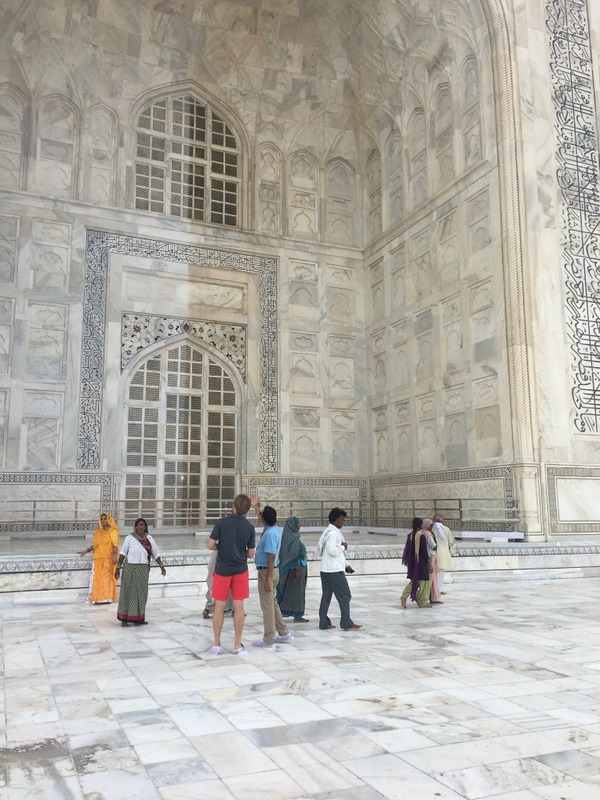 Our guide did take us to a store to see a demonstration of the way the artists carve out the marble for the jewel inlays at the Taj Mahal. The same families who did the work on the Taj still do the same sort of work as their ancestors did. We were happy to have a little time left to hang out at the Oberoi pool, where we had a quick lunch and a Kingfisher beer before it was time to drive back to Delhi for our flight back to Mumbai. On our way to the airport, we stopped to take a picture of the Askhardam temple. It would have a been a cool place to visit, but the tour would have taken 3-4 hours, and we didn’t have that sort of time. Flying on Indigo Airlines was not the most pleasant experience- delayed flights, no bottled water, very uncomfortable seats…but we were able to get on a slightly earlier flight home, which means we were back in Mumbai around 9 pm. Exhausting weekend sure- lots of travel, of course. But definitely a once-in-a-lifetime experience that I will never forget! 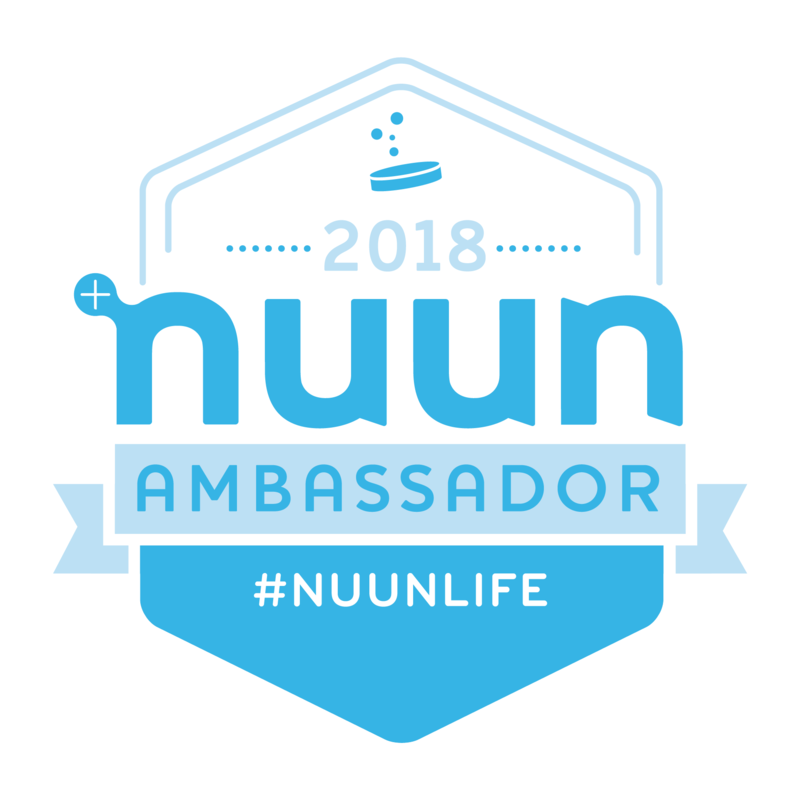 « 12 Weeks Until the New York City Marathon, Week 3 in India! I have such wanderlust reading your posts. Loved this. The hotel doesn’t sound too bad considering how amazing it looked – still better than the hotels for Boston weekend!! :)) keep em coming!! Can’t wait to see you soon! Agreed! 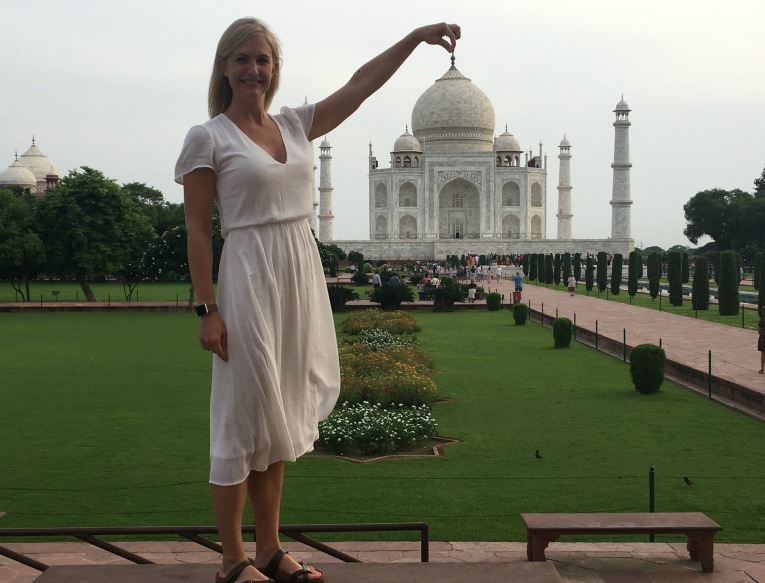 Just like the Boston Marathon is a bit of a once in a lifetime experience for most and perhaps worth the splurge, I’d say so is the Taj Mahal 🙂 Thank you for reading!